Orchestra of Samples tee-shirts are ready! 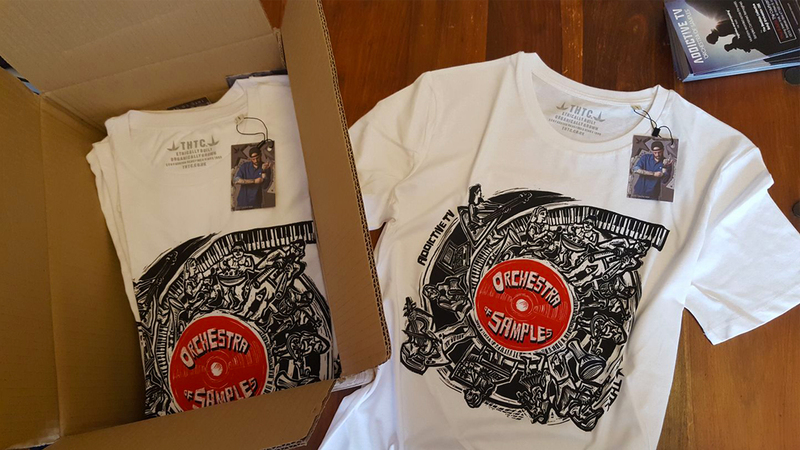 We’ve teamed up with our pals at THTC – The Hemp Trading Company – who’ve printed some fantastic organic cotton tees with Anna Alcock‘s beautiful Orchestra of Samples album artwork! Get your’s here direct from THTC, different sizes are available. Currently ranked the UK’s most ethical fashion label by Ethical Consumer Magazine, THTC produce eco-friendly and politically conscious street wear, made from hemp, carbon-neutral organic cotton, and recycled salvaged plastic fibres. Here’s an AV remix we created for THTC a few years back, sampling beatboxers, fluteboxers, graffiti artists and musicians who all wear and support THTC, including Ed Sheeran, Newton Faulkner and Beardyman!